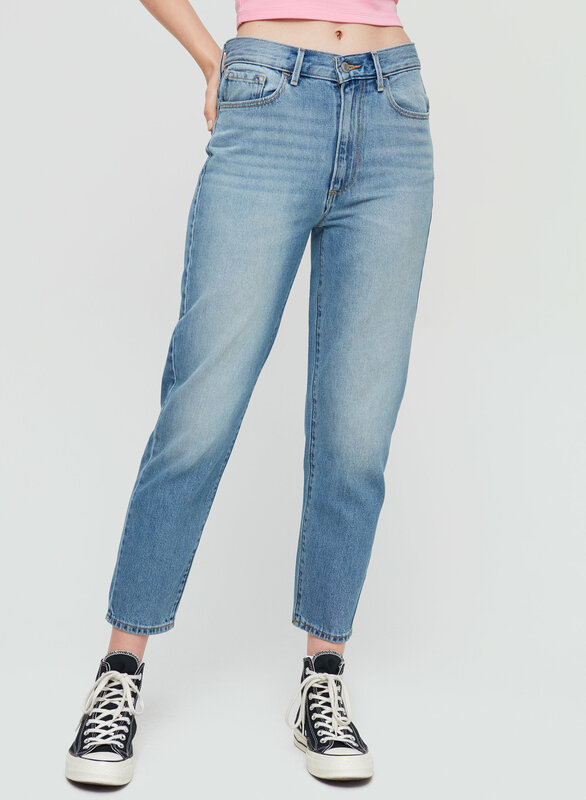 This is a high-rise mom jean. It has a slightly relaxed leg that tapers at the knee and five-pocket styling. 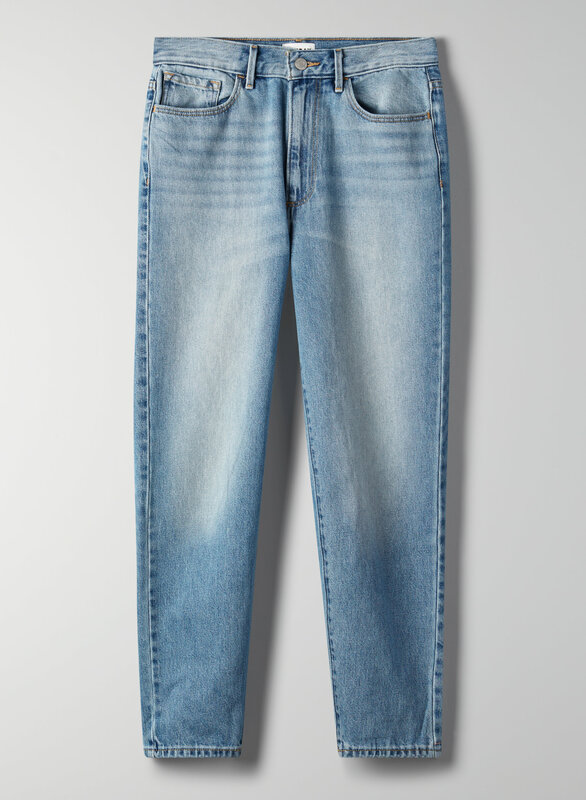 It's made with a soft, non-stretch cotton denim. 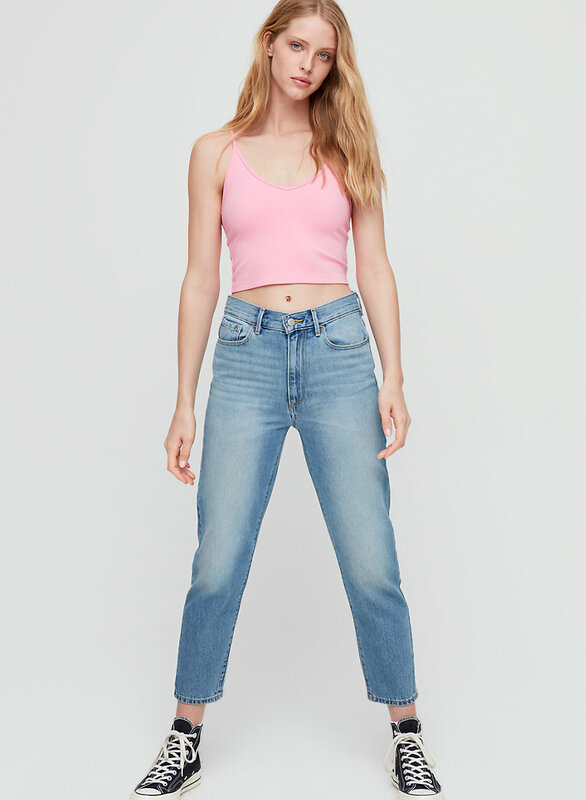 This version of the Matilda comes in a medium blue wash.